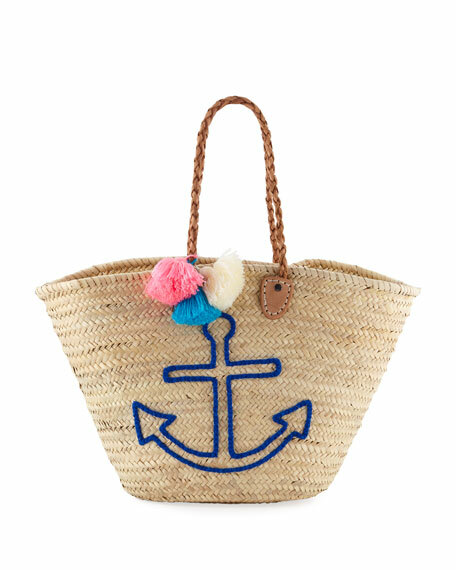 Palm leaf woven tote bag with braided anchor design. Three tassels handed at straps. Braided shoulder straps. Goat leather and acrylic trim. Unlined interior. Made in Morocco. 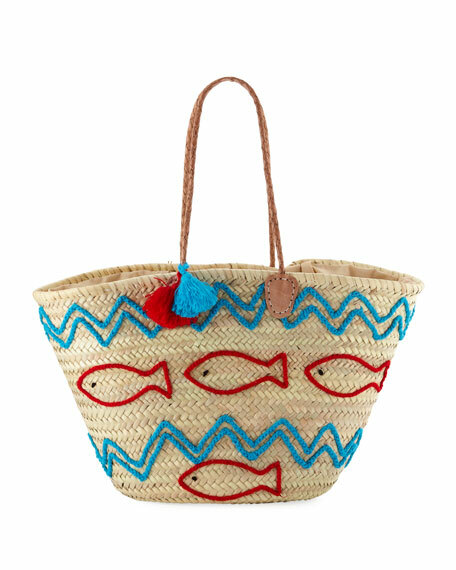 Palm leaf woven tote bag with braided fish and wave design. Two tassels handed at straps. Braided shoulder straps. Goat leather and acrylic trim. Lined interior. Made in Morocco.